Today is March 1. That means Sand Creek Serenade’s birthday is just two short weeks away! So I was already celebrating this day. I’ve waited a very long time to launch a full-length novel out into the world, and finally hitting the first day of its launch month was a red-letter event. Then I got the news. The Selah Award Finalist list was announced just a short time ago, and, well…two of my Barbour novellas are finalists in the Western category! Beyond that, there are so many of my friends’ names on this list too! So here’s a shout-out to all the finalists for their hard work and dedication to their craft! As you know, The Selah Awards brought in a higher number of submissions this year than ever before! After months of reading by our judges, the preliminary scores are in. These scores were often so close, my heart ached that they didn’t all place in finals. Still, each category drew a number of finalists. The number of finalists per category was based on the number of entries per category. I look forward to receiving the winning scores and in announcing the winners at awards night during Blue Ridge Mountains Christian Writers Conference. A heartfelt thank you to Edie Melson, DiAnn Mills, Eva Marie Everson, Taryn Souders, and the many judges who made this contest happen! I know we all are thankful for you! And a huge congrats to all who entered. No matter the outcome, we are all winners, because we tried! 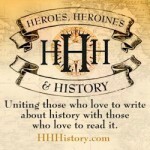 This entry was posted in Contest News and tagged Barbour, Finalist, Heartfelt Echoes, Novella, Selah Award, The Brigand and The Bride, Western on March 1, 2019 by jenniferuhlarik. Thank you to everyone who took the time to enter my Valentine’s Day giveaway. It was a lot of fun getting to email with each of you as you entered, especially when some of you shared your enjoyment of my opening chapter of Sand Creek Serenade! Those responses did my author-heart good! So thank you all. Congratulations, Paula! I will contact you by email so I can get your prize to you. Again, thank you, everyone, for entering–and keep watching for further news and giveaways! This entry was posted in Giveaway and tagged Giveaway on February 15, 2019 by jenniferuhlarik. Nine advertisements for brides lead to inconvenient complications in romance. Traveling west alone on a promise of marriage, each woman has her reasons to accept a husband sight unseen. Some are fleeing poverty or abuse while others simply seek hope for a brighter future. But what the brides find at the end of their journeys doesn’t go according to plan–missing grooms, mistaken identities, nefarious traps, undisclosed secrets, and so much more await them. How can each bride possibly find a safe place to call home and a husband she can love? Declaring one’s love can be hard—even risky—especially when faced with some of life’s greatest challenges. Separated by class, time, distance, and more, some loves must remain secret until the time is right. Instead, notes of affection, acts of kindness, gifts of admiration, and lots of prayer are circulated. From New England mansions to homestead hovels, love is quietly being nourished and waiting for the right time to be revealed. But when love can finally be boldly expressed, will it be received by love in return? Read the first chapter of Sand Creek Serenade and send your answers the following questions to Jennifer by clicking the “Email Jennifer” button on this website (. In order to be sure no one gives the answers away, please DO NOT leave your response in the comments to this post or on Facebook/Twitter. Be sure to email them instead. What two medical problems did Dr. Sadie Hoppner address for her patients in this chapter? What are the names of her two patients? What event occurred that cause Sadie and Five Kills to meet? What names does Five Kills give to Sadie and her brother, Ben? What item catches Five Kills’ attention and causes him to want to return to Fort Lyon at a later time? Happy Valentine’s Day, everyone! I will draw the winner from those who followed instructions and sent five correct answers to my email. The drawing will take place on February 14th. And, of course, if you enjoyed the first chapter of Sand Creek Serenade, consider pre-ordering your copy now! This entry was posted in Giveaway and tagged Giveaway, Novel, Novella, Sand Creek Serenade, Secret Admirers Romance Collection, The Mail-Order Brides Collection on February 8, 2019 by jenniferuhlarik. I’m thrilled to announce that Sand Creek Serenade is up for pre-order in Kindle format! The paperback version will be available sometime in the future–I’m hoping before the release date, but I can’t give you a firm date yet. Please check it out on Amazon! This entry was posted in Pre-order and tagged Novel, Sand Creek Serenade on January 14, 2019 by jenniferuhlarik. Thank you to everyone who participated in my first giveaway! Yes, I said first giveaway. Keep an eye out in the coming months for more…I’ve got several in the works, so if you didn’t win this time, there will be more chances in the future! So…without further ado–Cynthia Roemer, you are my winner of the Of Rags and Riches Collection, The First Love Forever Collection, and the tea sampler and Biscotti! I will be contacting you by email to get your mailing address. Merry Christmas everyone! I hope you have a wonderful holiday full of fun, family, and many blessings! This entry was posted in Giveaway and tagged Barbour, Giveaway, Novella on December 21, 2018 by jenniferuhlarik.